The Geriatric Center of Western New York at DeGraff Memorial Hospital specializes in the care of patients over the age of 70, with an emphasis on those dealing with complex medical issues and/or memory loss. The center's goal is to maximize quality of life by providing the individualized attention patients deserve. At the Geriatric Center of Western New York, we follow the Patient-Centered Medical Home model - which is a team approach to providing comprehensive, coordinated care to our patients. We provide evidence-based care to ensure our patients can achieve their best health possible. As a team, we provide support, education, goal setting and prevention information, as well as resources for acute and chronic medical care. 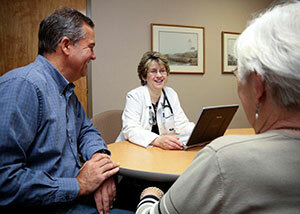 The Medical Home team provides patient-centered, comprehensive care through a multidisciplinary team. Our doctors specialize in geriatric services along with a nurse practitioner, physician assistant, nursing staff, a social worker, as well as collaboration with hospital pharmacists, all dedicated to working with older individuals. In order to provide the best possible care, it is important to share your complete medical history with us, including care you have received on the past and any care you are receiving from providers outside of the Geriatric Center of Western New York. Your medical records can be shared with us if you have signed a consent with HealtheLink and by fax at (716) 690-2415. If you are not signed for HealtheLink and would like to be, please notify the staff during registration at your next appointment. 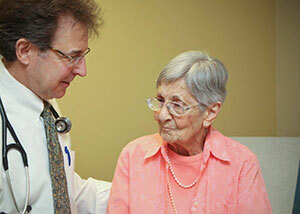 Geriatric Specialist Physicians: Kenneth Garbarino, M.D., Donna Desmone, M.D., Annie Mattai, M.D. 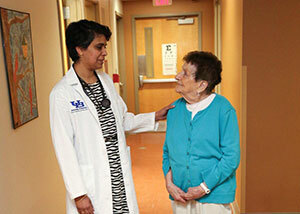 As a primary teaching site for the University at Buffalo Medical School Geriatric Center of Excellence, fellows, residents and students may help in the delivery of care under the supervision of Geriatric Specialists. When patients and families are given a diagnosis of dementia or Alzheimer’s disease by their physician, it is often followed by many unanswered questions. In reality, there are a number of types of dementias as well as a number of reasons why an individual may exhibit signs of dementia. The Geriatric Center of WNY assists individuals in finding an accurate dementia diagnosis through expert medical professionals specializing in geriatric care and providing appropriate interventions, education and support. We strive to provide equal care to all patients who seek services in our clinic, regardless of their source of payment. If you have little or no insurance and are seeking help, our social worker will be happy to assist you in working with our facilitated enrollment department to help you apply for insurance. Please expect your first visit with us to be two or three hours in length. We will ask that you fill out a questionnaire to help us become acquainted with you and your health care needs. Future visits and waiting time will vary as we address the needs of our elderly patients and their families. Please remember to bring a complete and current medication list (or bottles) to every appointment. Our appointment hours are Monday-Friday, 8:30 a.m.- 4:30 p.m. You can reach the office by phone, Monday-Friday from 8:30 a.m. to 3:30 p.m. If you need to cancel or reschedule an appointment, please call our office at (716) 690-2410 as soon as you can. We are closed on most major holidays. Same day appointments for urgent matters are available at the Geriatric Center of Western New York Monday-Friday. Please call (716) 690-2410 for availability. If you have an urgent issue after hours, please call (716) 690-2410 and you will be put in touch with one of our doctors. Please do not use the patient portal to message your doctor about urgent or emergent matters. For life-threatening emergencies, please call 911 or go to the nearest hospital emergency department.